America's Heart & Soul is a pictorial story of Americans who are remarkable in their everyday lives. Real people, real stories, real life. Award-winning filmmaker Louis Schwartzberg packed up his camera and hit the road, with a goal of capturing both the unparalleled beauty of the land and the incomparable spirit of the people. Through this book America's Heart & Soul , you'll meet ordinary Americans with extraordinary stories. Louis' gift is his ability to connect with people, honestly capturing their values, dreams, and passion in an awe-inspiring journey that reveals the stories - unusual, captivating, inspiring and emotional - that make us more than a collection of individuals. Each photograph tells the story of extraordinary Americans, revealing through their joy and passion their greatest gifts - Freedom and Diversity. This is the real America, where men, women, and children of all colors, creed, and origins enjoy the opportunities and mobility that is their right. Louie Schwartzberg is an award-winning producer, director and cinematographer whose notable career spans more than three decades providing breathtaking imagery for feature films, television shows, documentaries and commercials. As the only filmmaker in the world who has been shooting time-lapse 24/7 continuously for well over three decades, Schwartzberg is a visual artist breaking barriers, connecting with audiences, and telling stories that celebrate life and reveal the mysteries and wisdom of nature, people and places. His recent theatrical releases include the 3D IMAX film "Mysteries of the Unseen World" with National Geographic, narrated by Forest Whitaker, and "Wings of Life," a feature-length documentary for Disneynature, narrated by Meryl Streep. Schwartzberg's "Mysteries" film is a journey into invisible worlds that are too slow, too fast, too small and too vast for the human eye to see. In partnership with the National Science Foundation, Lockheed Martin, and Siemens, this film opened nationwide Fall 2013 to rave reviews from audiences and experts alike. Using time-lapse, high-speed and macro cinematography, Schwartzberg offers audiences an intimate and unprecedented high-definition glimpse into the hidden world of butterflies, hummingbirds, bats and bees in his "Wings of Life" film, including the precarious relationship these pollinators have with flowers – a third of the world's food supply depending on these increasingly threatened species. After its theatrical premiere, "Wings of Life" is now available on Blu-ray and DVD through Amazon and On-Demand through Netflix. This extraordinary film has won numerous kudos including Best Theatrical Program at the Jackson Hole Science Media Awards, the Best Cinematography Award at the Ocean Film Festival, and Wild Talk Africa's Roscar Award. In addition to his feature films, Schwartzberg also curates Moving Art™, the world's first collection of 2D and 3D moving images created as fine art for digital screens, from nature to cityscapes to visual effects. Designed to inspire, educate and perhaps even evolve our perspective on the world, Moving Art™ is now available on IPTV devices such as Roku, mobile devices via the iOS and Android platforms, and as an Original Series on Netflix as of January 2014 – the first 4K content to appear on that channel. Several Moving Art™ film shorts have gone viral – including the hits "Gratitude" and "Beauty of Pollination" with 36MM+ YouTube views – which have spawned successful related projects such as books (Hay House, Sterling) and webinar series (MentorsChannel). Custom 4K resolution Moving Art™ pieces created by Schwartzberg can also be found in high-end hospitality venues around the world starting in Q3:2014. Schwartzberg is distinguished as an artist and a pioneer who transformed 35mm time-lapse photography into an arresting art form made available for the first time to feature films and other content platforms. His stunning nature, aerial and slice-of-life imagery has transformed films by such directors as Steven Spielberg, Oliver Stone, Francis Ford Coppola, Paul Haggis and Ridley Scott, including "American Beauty," "The Bourne Ultimatum," "Crash," "Erin Brockovich," "E.T.," "Independence Day," "Jerry Maguire," "Koyaanisqatsi," "Men in Black," "Twister" and countless others. As the founder of BlackLight Films, Schwartzberg brought us projects like "America's Heart & Soul," for Walt Disney Pictures, the "America!," 26-episode half-hour series for The Hallmark Channel; and the one-hour "Chasing the Light" documentary that aired on PBS and numerous other channels. 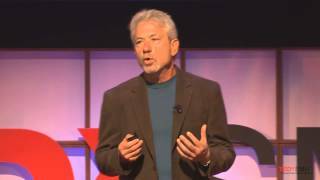 A coveted speaker worldwide for inspirational corporate and nonprofit audiences, Schwartzberg is also active in the TED community. Videos of two of his most recent TEDx talks are regularly cited among the top-watched TEDx talks of all time. An MFA film school graduate of UCLA, he both chaired and served as executive director of the Action! Vote Coalition and served on the board of the Earth Communications Office and the Environmental Media Association. He is a member of both the Directors Guild of America and the Academy of Motion Arts and Sciences. Over his long trailblazing career, Schwartzberg has earned myriad awards and honors including two Clio Awards for Best Environmental PSAs, an Emmy nomination for Best Cinematography ("Oceans of Air" on the Discovery Channel), a Truly Moving Picture Award from the Heartland Film Festival ("America's Heart & Soul") and Best Film–Inspiration at the Ocean Film Festival ("Gratitude"). He was recognized as one of the "Top 70 Cinematographers" for the On Film Kodak Salute Series. Schwartzberg was also recently honored and humbled to receive the NAAPC Pollinator Protector award. For Schwartzberg, the greatest satisfaction is creating works that can have a positive effect on the future of the planet. "I hope my films inspire and open people's hearts. Beauty is nature's tool for survival – you protect what you love. If I can move enough people on an emotional level, I hope we can achieve the shift in consciousness we need to sustain and celebrate life." Pollination: it`s vital to life on Earth, but largely unseen by the human eye. Filmmaker Louie Schwartzberg shows us the intricate world of pollen and pollinators with gorgeous high-speed images from his film "Wings of Life," inspired by the vanishing of one of nature`s primary pollinators, the honeybee. 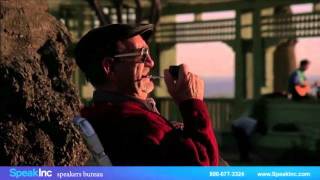 Nature`s beauty can be easily missed -- but not through Louie Schwartzberg`s lens. His stunning time-lapse photography, accompanied by powerful words from Benedictine monk Brother David Steindl-Rast, serves as a meditation on being grateful for every day.